Our company? 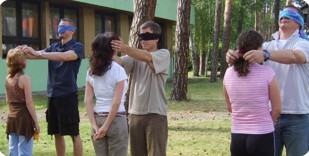 Outdoor Development Ltd specializes on summer developing and teambuilding programs. From the results of our projects benefit both company and the individual participants. Our product? Summer services are segmented in three basic areas. Turnkey educational or teambuilding contracts are planned individually in dependence on specific aims. That is the only method to ensure the expected results and establish the future co-operation. 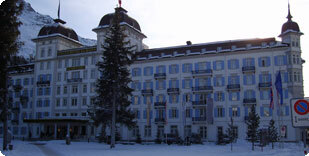 Programs in Switzerland are provided by joint venture with My Guide. 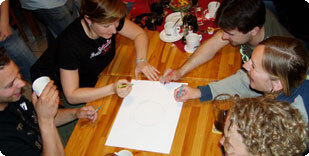 Our team provides your company with teambuilding, developing or just additional program. We help you also with planning the right locality or accommodation thanks to our wide list of hotels. High specializations in our products keep 1-3 days events for groups of max. 60 participants, with accommodation in mid and high quality resorts. Essentially these events are based on “indoor outdoor”. Our lectures are only the top professionals from Universities or as very experiences coaches in practice. This educational system gives you not only new knowledge, but more likely implementation to your working processes and concrete situations. These events are ideal for groups of max. 20 people, in larger groups we combine the program with outdoor activities. In co-operation with My Guide, our standard winter packages are now presented also in summer services. Our long-time experiences and partnerships in Switzerland helped to create new products for foreign companies. The packages can offer international seminars, trainings, indoor and outdoor events, tourist visits or some outstanding adventures. You can choose one of My Guide packages or we organize turnkey event just upon your expectations. I am the executive manager of Outdoor Development Ltd responsible for event and program management. I coordinate the company projects. My job is my hobby. I provide the quality background for the company and assist to all activities. My scope of work is to support all the planned projects. Positive feedback is my pleasure. I guarantee all the event´s and project´s quality in pedagogical and psychological essentials. My goal is to evolve creative atmosphere and support safety of clients. Our work is based on long-term co-operations and conceptual efforts. Amount of realized projects or quantity of participants does not guarantee the quality and success of the event. Therefore we do not present the lists of our clients but we show you some particular experiences from realized programs and partnerships . We appreciate our co-operations and partnerships and we are looking forward to our further events! © 2008-2018 Outdoor Development • Created and hosted Nux s.r.o.